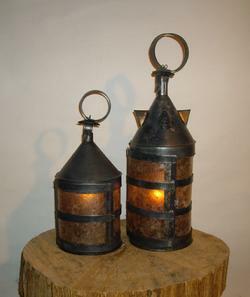 Lanterns and light fixtures are available in the following finishes: Antiqued, Rust Red, Flat Black, and Verdigris. Bubble glass available - please add $15.00. Checks, Money Orders, and Credit Cards accepted (Visa, Mastercard, Discover Card, and American Express). Shipping is extra according to size and weight unless mentioned as included. Cowhorn was one of the elements used in lanterns, thus the name "Lanthorn". Horn would buckle and warp in heat as well as provide dinner to starving rats. Mica, an ore, was imported as early as the 16th century to England from Russia and was called Muscovy glass. It was used for lantern panes and the stern windows of ships. As glass became more affordable during the early 18th century it replaced mica. Other materials used for lantern panes include waxed linen, vellum, and the large window pane oyster found in the Philippines. Note: Shaving boiled and pressed cowhorn is very labor intense. The best I've ever found was made by Roland Cadle and the new Tin Shoppe in Colonial Williamsburg has been experimenting and doing a grand job. 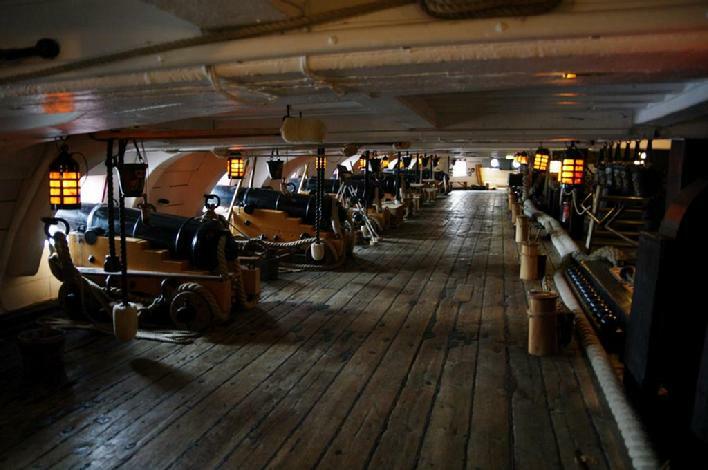 Below is a picture of ships lanterns on a gun deck of a ship.